Guardians of the Galaxy is in Theaters Today! 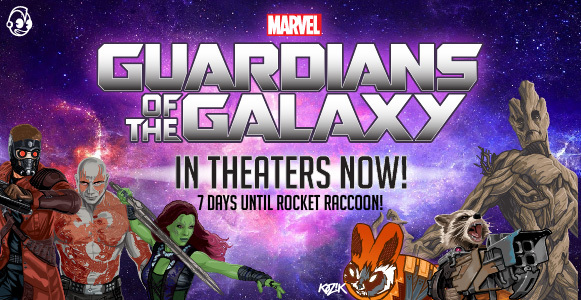 As second-in-command of the anti-hero clique Guardians of the Galaxy, Rocket is the team’s marksman, tactician and, oh yeah, a genetically-engineered raccoon. Full of ringtailed rage from a steady diet of garbage and voiced by Bradley Cooper, this bandit naturally steals every scene. Need more Rocket in your life? Guardians of the Galaxy opens in theaters today, but you’ll have to wait for the best: Rocket Raccoon Labbit is available August 7 on Kidrobot.com.